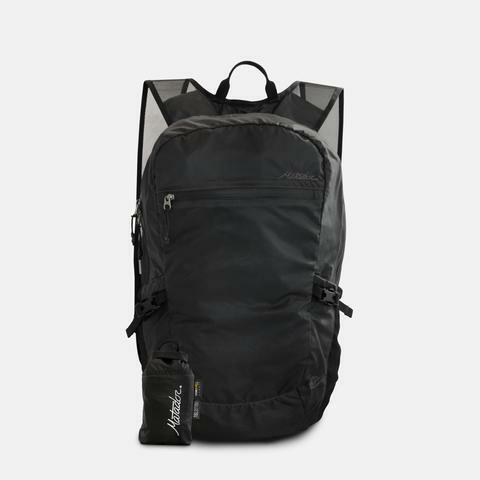 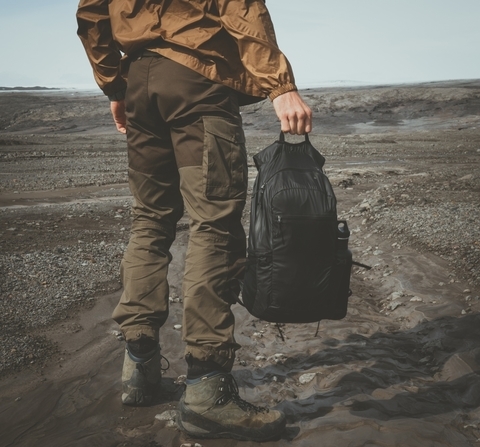 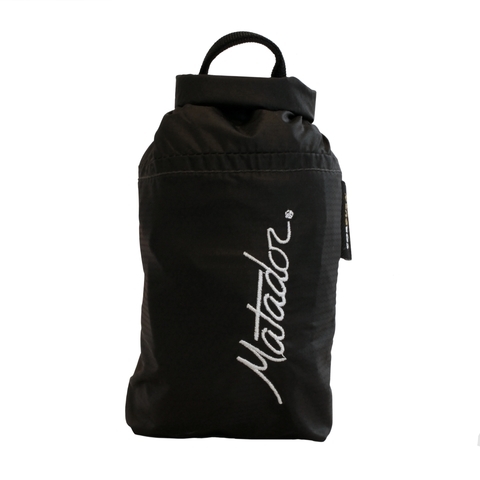 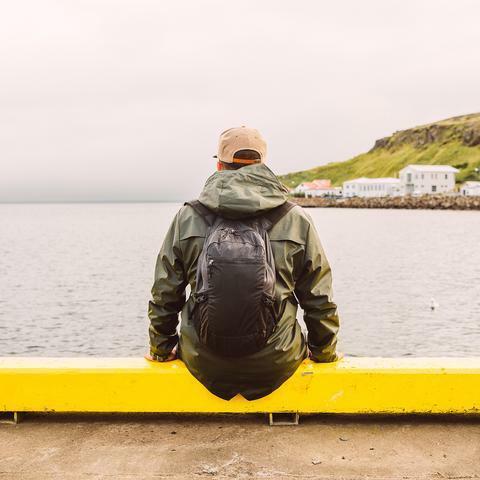 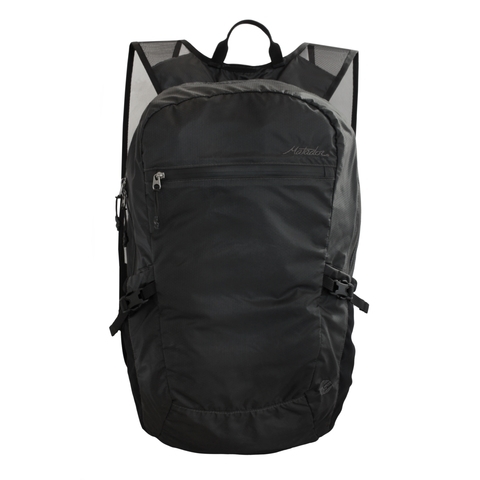 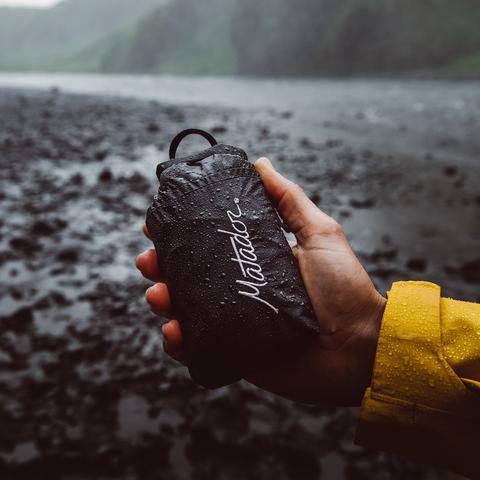 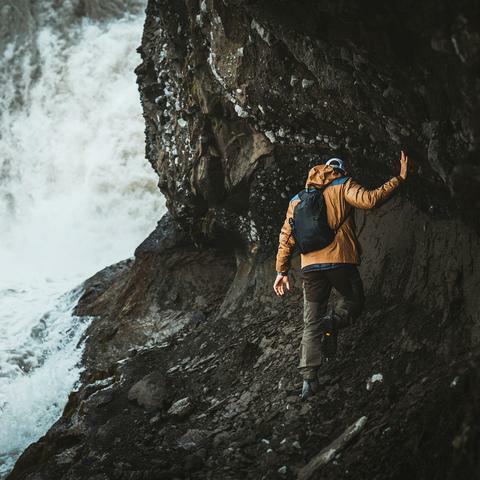 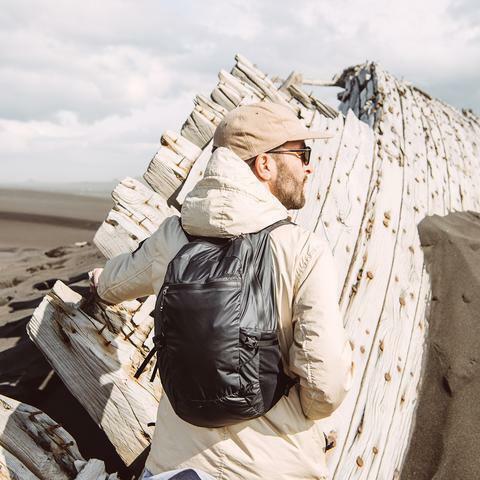 Matador Advanced Series 16 liter daypack is built from waterproof 30 denier Cordura® with sealed seams and sealing zippers. At only 136g, Freefly16 is ultra light. 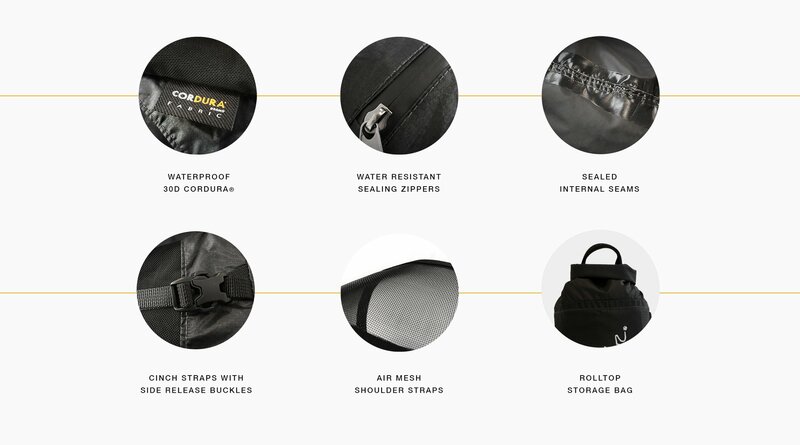 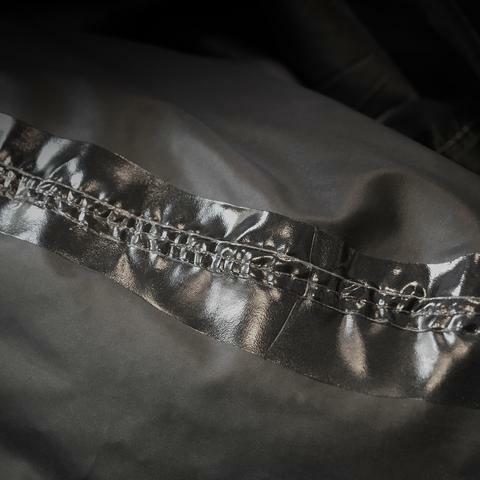 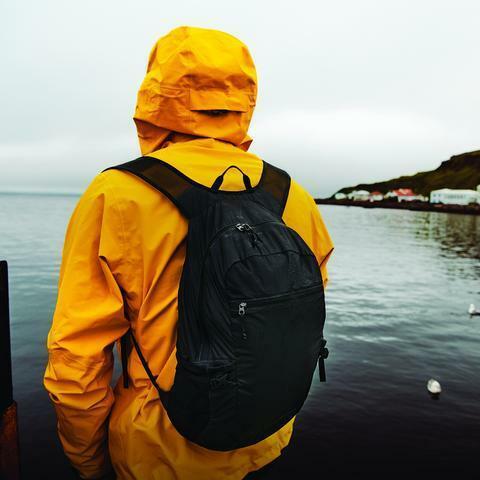 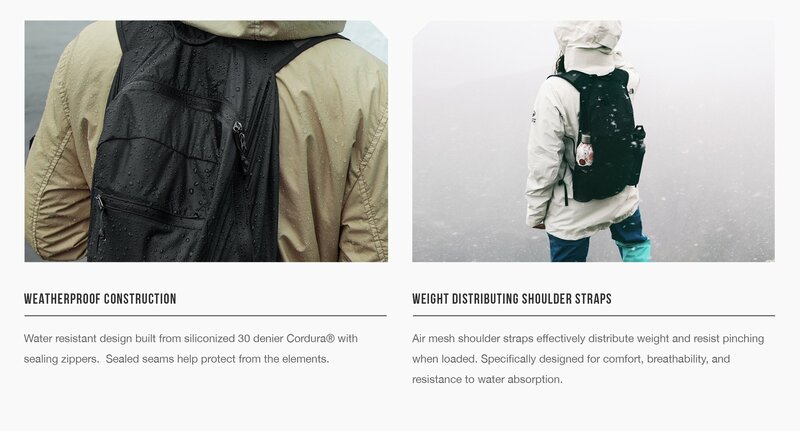 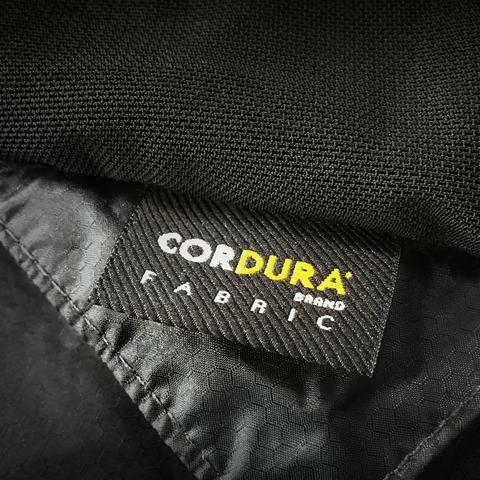 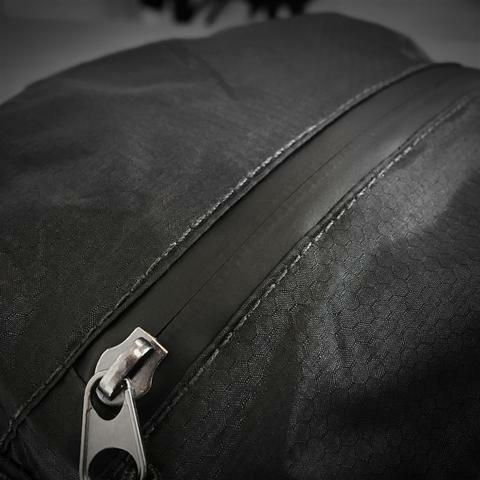 Weatherproof construction protects your gear while easy to access zipper compartments keep you organized on the fly. 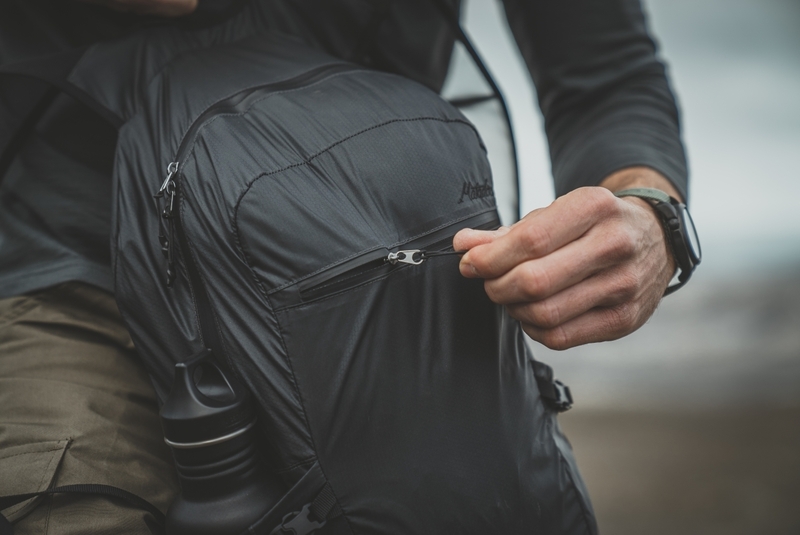 Extra deep side pockets, compression straps, tether points, and breathable shoulder straps designed to distribute weight make for the ultimate travel daypack. 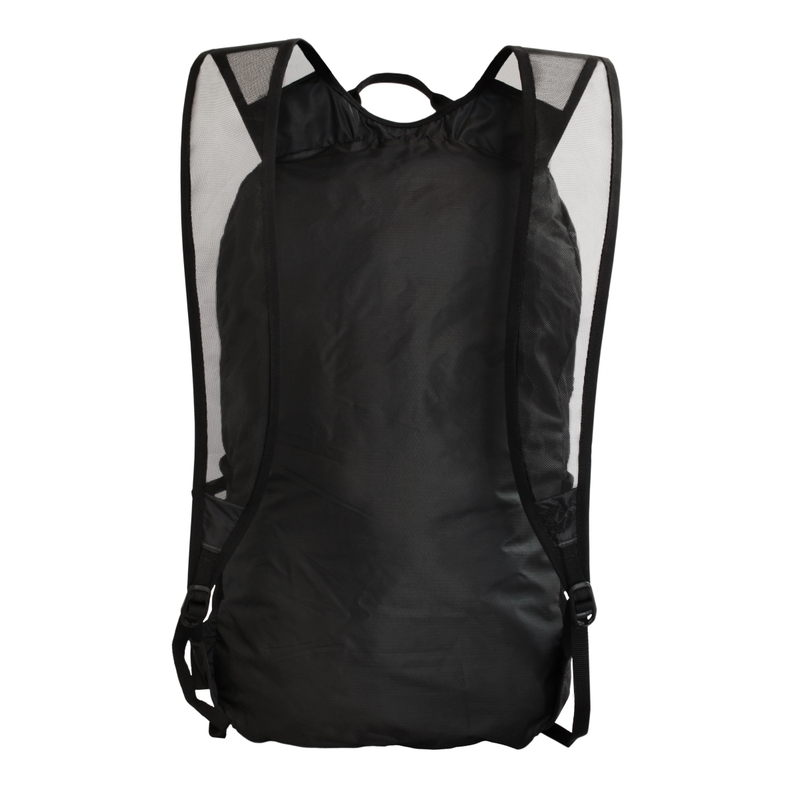 Freefly16 effortlessly stashes in the detachable storage bag. 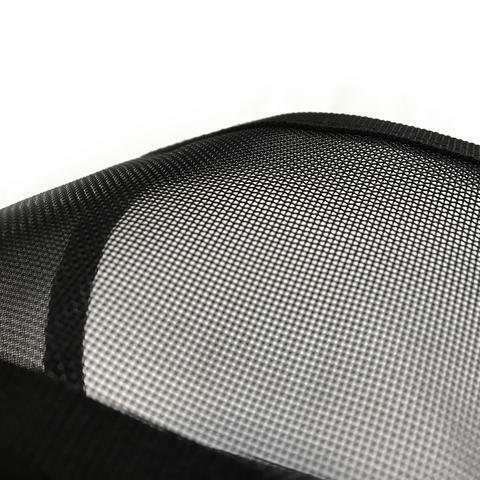 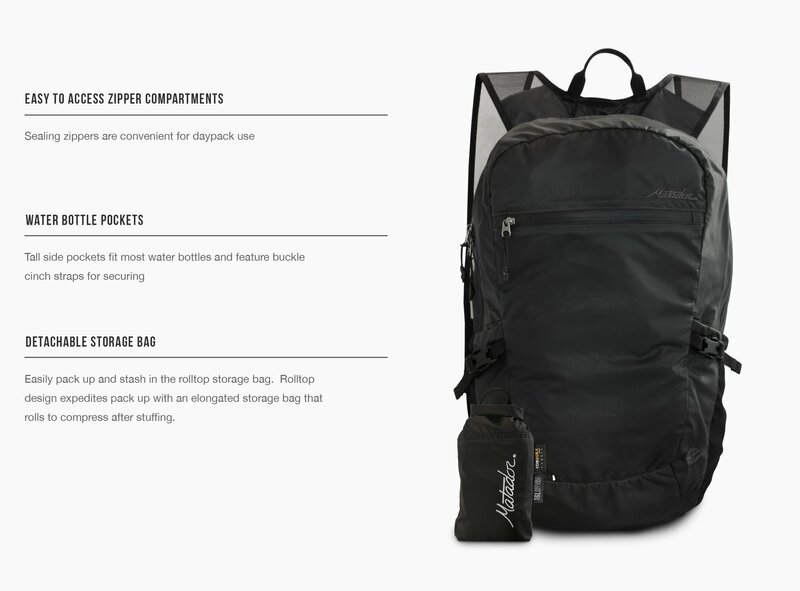 The storage bag’s rolltop design is elongated for fast pack up, then compresses for compact transport. 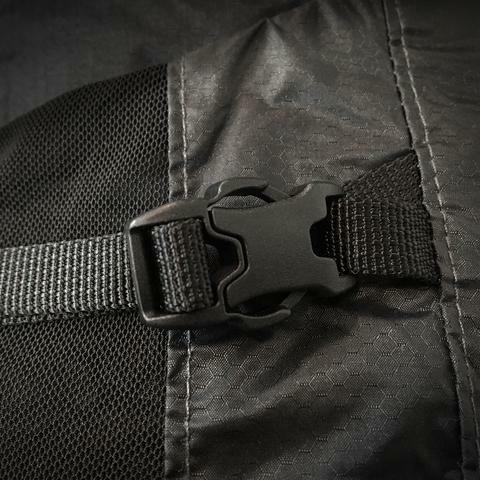 Incredibly light and seriously equipped, Freefly16 is ready for whatever’s ahead.